Whether you're on the way to work or exercising at the gym, there's nothing more important than having a trusty pair of earbuds to play your favorite songs. 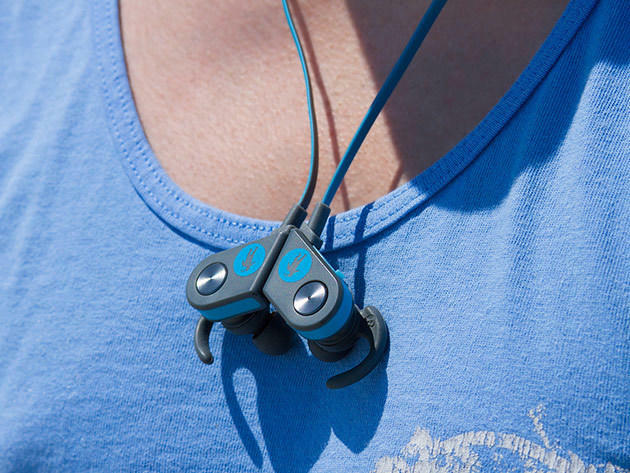 The FRESHeBUDS Pro Magnetic Bluetooth Earbud is a small bundle of perfection that you need. Delivering up to 6 hours of crystal-clear audio playback, these earbuds will bring you complete aural bliss wherever you go. Please use the coupon code GETNEW on checkout for an additional 12% off. The FRESHeBUDS Pro Magnetic Bluetooth Earbuds is simply unparalleled in delivering superb sound quality and comfort. Just connect to your smartphone via Bluetooth and then you're ready to rock away to your favorite tunes. When anybody calls, you can answer directly from these earbuds using the built-in microphone. With even more sweat and water resistance than the original FRESHeBUDS earbuds, the FRESHeBUDS Pro takes the listening experience to another level. Features such as fast charging speeds and enhanced battery life distinguish the FRESHeBUDS Pro Magnetic Bluetooth Earbuds from all the other headphones on the market. Originally, the FRESHeBUDS Pro Magnetic Bluetooth Earbuds were 75% off for just $29.95. For a limited time, you can take an additional 12% off by using the coupon code GETNEW at checkout.